What is a Likely Letter in College Admissions? I shared lunch today with a group of mothers of high school seniors. Some of the students had applied and been accepted early decision; most had at least one acceptance from an early action or rolling admission college. Their parents were anxiously waiting for the April 1st decision date. The April first date used to loom large, like tax day, or your birthday, circled in red for all the significance it implied. Were decision letters mailed on April first, or would you receive it on April first? Then, like in other aspects of college admission, the arms race started. “If only we could get our letters out a few days ahead of the others, our admitted students might be more inclined to matriculate,” one admissions office thought. I don’t doubt their psychology. Decisions began to trickle in during that last week of March. A few even hit the email inbox in early March. But for a few students, the surprise comes in the dead of winter: the likely letter. The likely letter has its roots in the Ivy League; it was a tool used by Ivy League athletic programs to maintain interest in the absence of athletic scholarship. Currently, a number of colleges use some form of this letter to try and attract SOME of their most promising applicants. Some “likely letters” are obvious indicators of admission; others are more veiled. Colleges handpick these students carefully, and receipt of such a letter should imply forthcoming admission. Is it a guarantee of admission? No, although a change in status would be unlikely without disastrous grades or disciplinary action in your current school. Should you expect a likely letter? No. Some colleges send out only a handful. 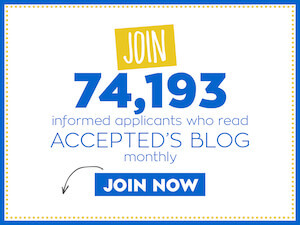 The timing varies, and there is always a chance that your application hasn’t even made it through the reader queue yet. If you do receive one, yes, it’s good news. If your neighbor, lab partner, or best friend receives one, it doesn’t mean that you won’t be admitted to the college of your choice. Regardless, April 1st is only a few weeks away. Your wait time is limited. Hang in there. Last updated on April 23, 2015.